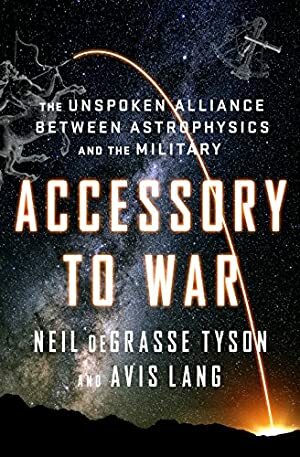 In this fascinating foray into the centuries-old relationship between science and military power, acclaimed astrophysicist Neil deGrasse Tyson and writer-researcher Avis Lang examine how the methods and tools of astrophysics have been enlisted in the service of war. "The overlap is strong, and the knowledge flows in both directions," say the authors, because astrophysicists and military planners care about many of the same things: multi-spectral detection, ranging, tracking, imaging, high ground, nuclear fusion, and access to space. Tyson and Lang call it a "curiously complicit" alliance. "The universe is both the ultimate frontier and the highest of high grounds," they write. "Shared by both space scientists and space warriors, it's a laboratory for one and a battlefield for the other. The explorer wants to understand it; the soldier wants to dominate it. But without the right technology -- which is more or less the same technology for both parties -- nobody can get to it, operate in it, scrutinize it, dominate it, or use it to their advantage and someone else's disadvantage." Track It. This book has been $9.18 within the past year. Log In to track Avis Lang on eReaderIQ. to be notified each time the price drops on any book by Avis Lang. to stop tracking Avis Lang. Log In to track Neil de Grasse Tyson on eReaderIQ. to be notified each time the price drops on any book by Neil de Grasse Tyson. to stop tracking Neil de Grasse Tyson. We started tracking this book on April 18, 2018. This book was $26.23 when we started tracking it. The price of this book has changed 25 times in the past 368 days. The current price of this book is $14.99 last checked one day ago. This lowest price this book has been offered at in the past 90 days is $14.25. This lowest price this book has been offered at in the past year is $9.18. The lowest price to date was $9.18 last reached on November 12, 2018. This book has been $9.18 one time since we started tracking it. The highest price to date was $26.23 last reached on April 18, 2018. This book has been $26.23 one time since we started tracking it. We last verified the price of this book about one day ago. At that time, the price was $14.99. This price is subject to change. The price displayed on the Amazon.com website at the time of purchase is the price you will pay for this book. Please confirm the price before making any purchases.